This is one of Martin’s favorite soups. Since he has moved to NYC I am moving some recipes he enjoyed at home to the front of my blog. Simple and Delicious! 1. Mash the garlic and salt together in a large bowl. 2. 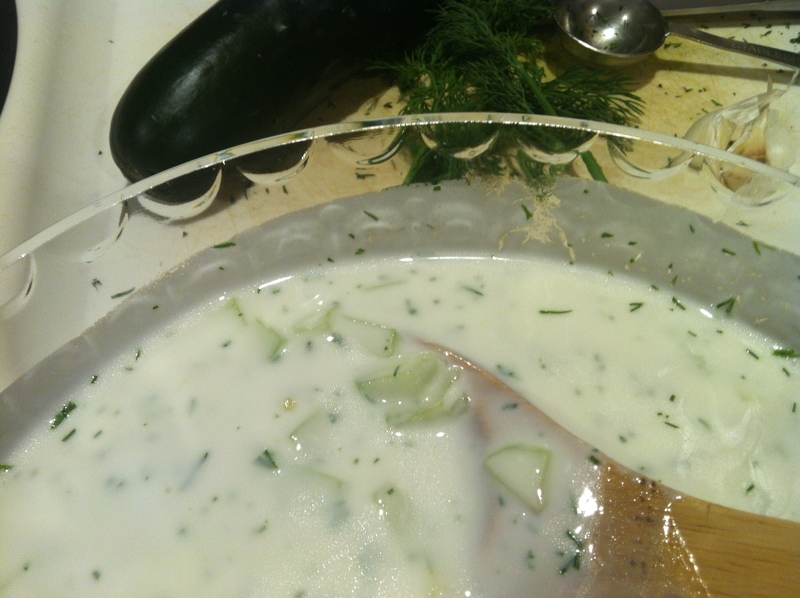 Add grated cucumber to the garlic and salt mixture. Mix together. 4. Add water. It should be the consistency of whole milk. 5. 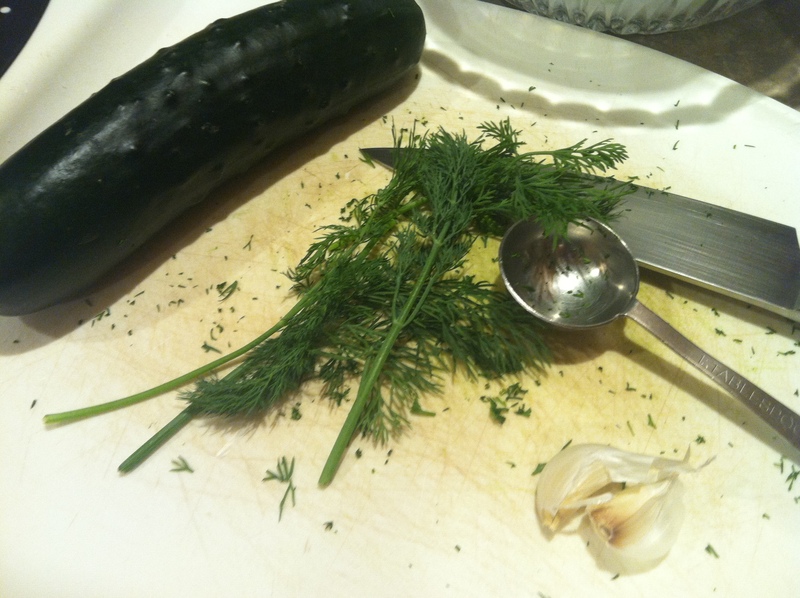 Add dill and season with more salt to your taste.